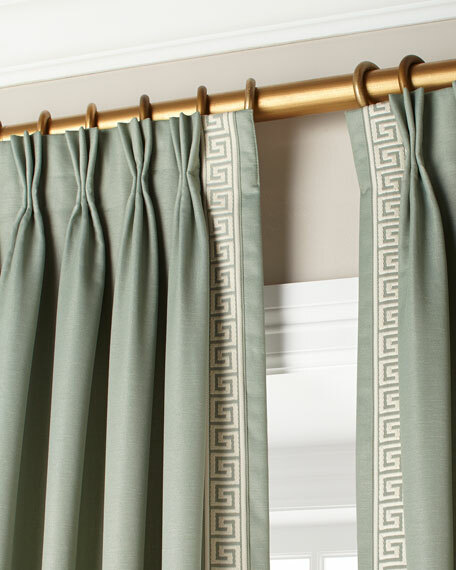 Taffeta pinch-pleat curtains from Eastern Accents. 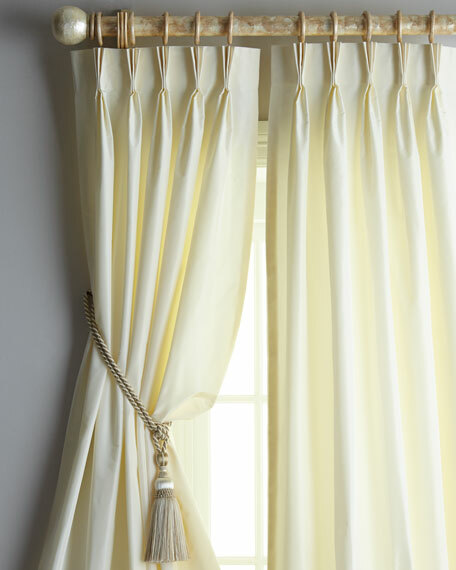 Available in an array of colors (featured in ivory); select color when ordering. 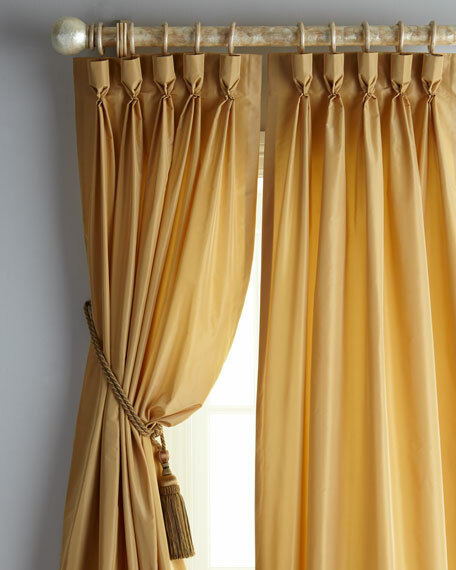 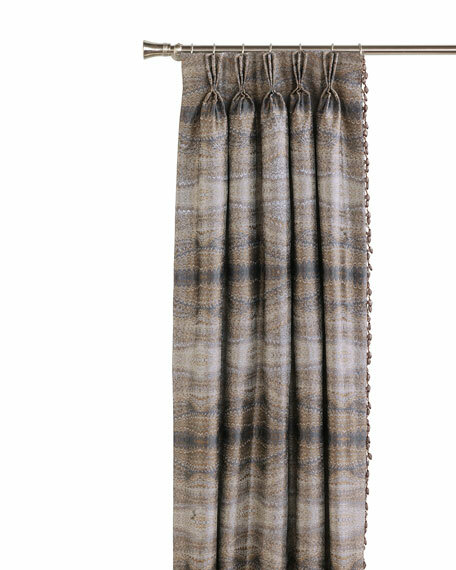 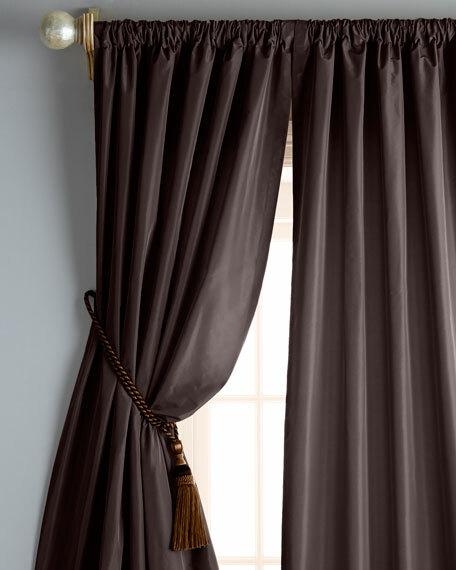 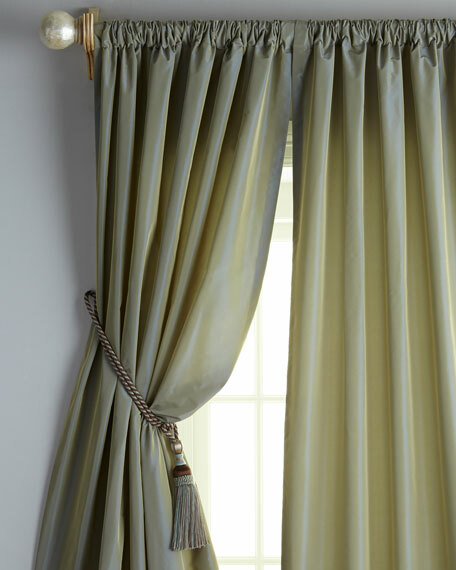 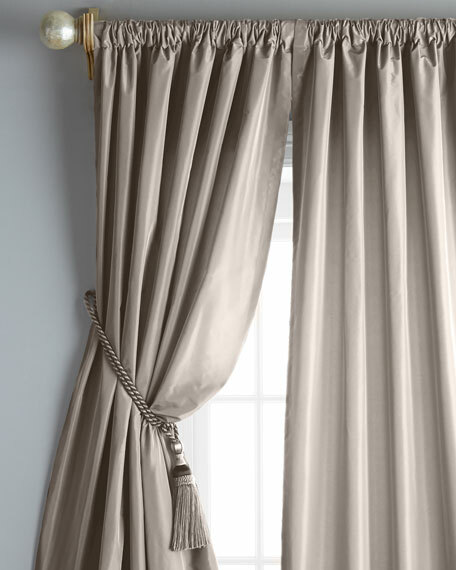 Taffeta goblet-pleat curtains from Eastern Accents.